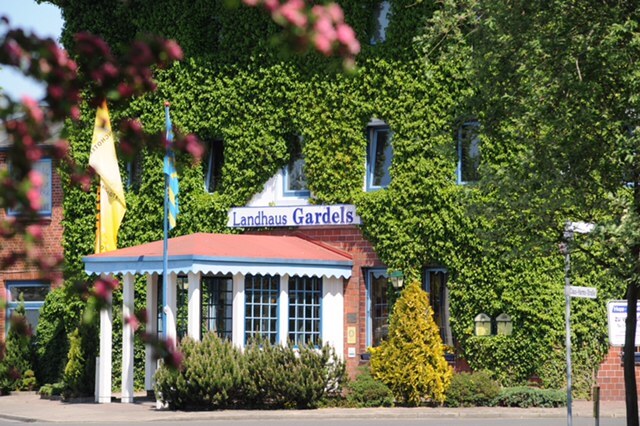 Hotel Landhaus Gardels is a charming, small 4 star hotel with only 50 rooms. It's a family owned property since more than 120 years and combines tradition and modernity. The National Park Schleswig Holsteinisches Wattenmeer is just minutes away, a natural highlight, that needs to be discovered during a pre- or post tour to the festival. Enjoy the difference - back to basics is the motto. In these rooms you will find everything you need.We have omitted the superfluous. The basic rooms are equipped with box-spring mattresses , shower/WC, hypo-allergenic bedding, armchair, TV, hairdryer and Wi-Fi. Some double rooms have a continuous mattress (160x200 cm) and some a double bed (180 x 200 cm) with separate mattresses and a small balcony. The Check in will be through the reception of Landhaus Gardels with direct access to the Guest House. Breakfast will also be at the Landhaus Gardels. Arrive on your own in St. Michelisdonn. Only 80km from Hamburg airport and only 20 km to Wacken. Ringhotel Landhaus Gardels: The family owned hotel (135 years) working in the 5th generation, stands for a combination of tradition and modernity. In our Restaurant we offer a regional cuisine. 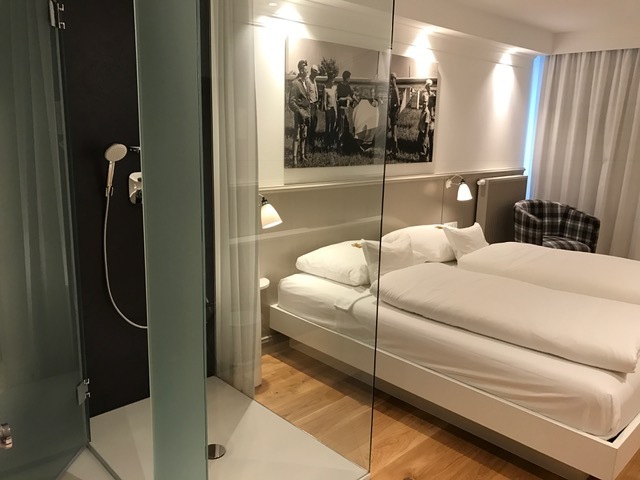 Cosy single room with box spring mattress (120 x 200 cm),Hypo allergenic bedding, comfy armchhair, desk, mini bar, telephone, TV,shower/WC, bathrobe, hairdryer, Wi-Fi, Sauna use included. 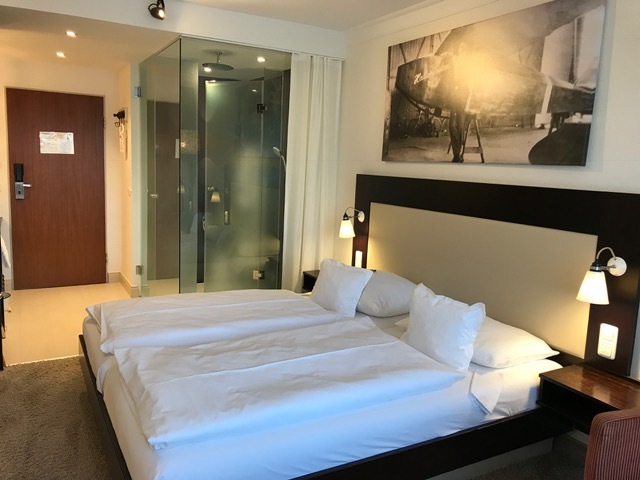 Comfort double room with box spring mattress ( 180 x 200 cm), hypo allergenic bedding, comfy armchhair, desk, mini bar, telephone, TV, shower/WC, bathrobe, hairdryer, Wi-Fi, Sauna use included. large buffet breakfast until 11.00am. Entrance fee for SPA and sauna included in Comfort Rooms. 6 transfers from the hotel to the festival site and back. Transfer time 25min. You can add WOA festival tickets to Hostel Package. Price: EUR 220,-. From Hamburg airport or Hamburg Hbf (main station)take train S1 towards Blankenese. Exit the train at Altona and change to Nordostseebahn(NOB)in the direction of Westerland/Sylt. Exit in Itzehoe and change towards Heide until you reach St. Michaelisdonn. The trainticket to St. Michaelisdonn costs € 17.70 per person oneway from the airport or main station. Make sure you purchase the ticket before you enter the train. A taxi from the station to the hotel costs € 5.-. Alternatively you may take a 5 min. walk to reach the hotel. A taxi from downtown Hamburg to St. Michaelisdonn is about € 120.- and from the airport around € 100.- . From Hamburg airport or downtown Remedy Records you may take the Metal Travel Bus to Wacken. From there the taxi will cost only about € 30,-.